For applications requiring an improved heat dissipation (eg LED) Cotherm® is again available in 1.0 mm thickness. COTHERM® is an insulated metal substrate, consisting of three layers: a base plate made of 1000-2000μm aluminum at the bottom and a 35μm thick ED copper foil on the upper side. Between the two layers there is an electrically isolating layer (FR4) in 100μm thickness, consisting of glass fabric combined with a mixture from epoxy resin and ceramic(s). This layer guarantees a very good thermal conduction, a high dielectric strength and a continuous high temperature resistance. 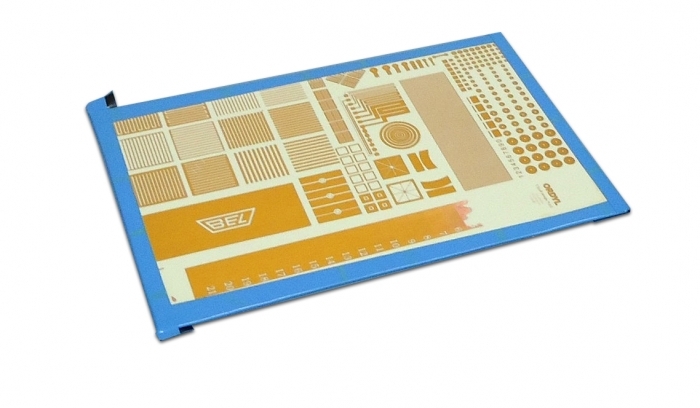 The aluminum base plate is provided with a foil that protects the aluminum during the wet processes of the printed circuit board manufacturing process, in order to prevent a contact bridge between the aluminum and copper. The metal core boards Cotherm® can be supplied with or without a photo layer. The processing is done in the same manner as in Bungard presensitized base material. There is only only difference: The aluminum must be covered when developing or etching the board, in order to prevent contact between the aluminum and the developer or etchant.